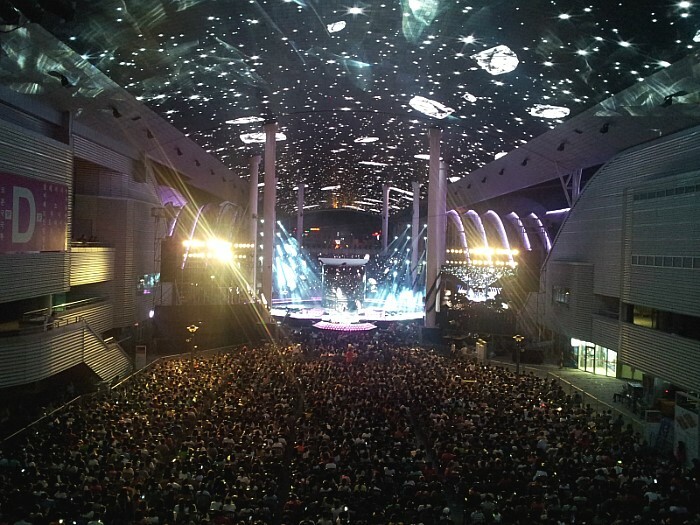 It is the first time for a number of people to gather at Expo site after the official closing of Yeosu Expo! 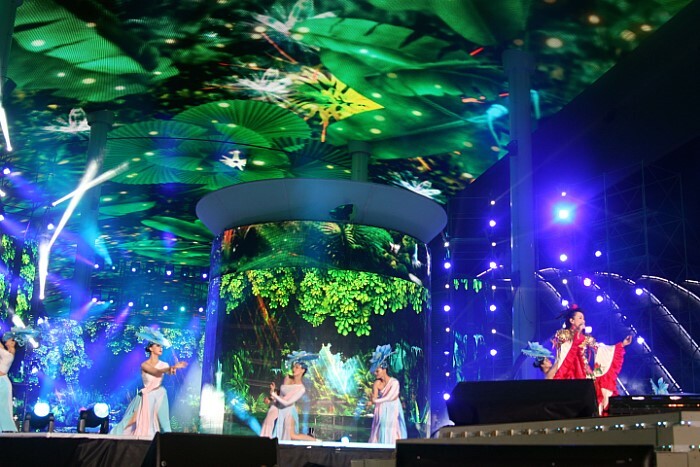 On August 25 (last Saturday), the 14th Korea-China Music Festival was held! The opening performance was directed at the Floating Stage of Big-O!! Female dancers in red which embodies China and male dancers in Goguryeo (one of dynasties in Korea history) clothes showed colorful stage. 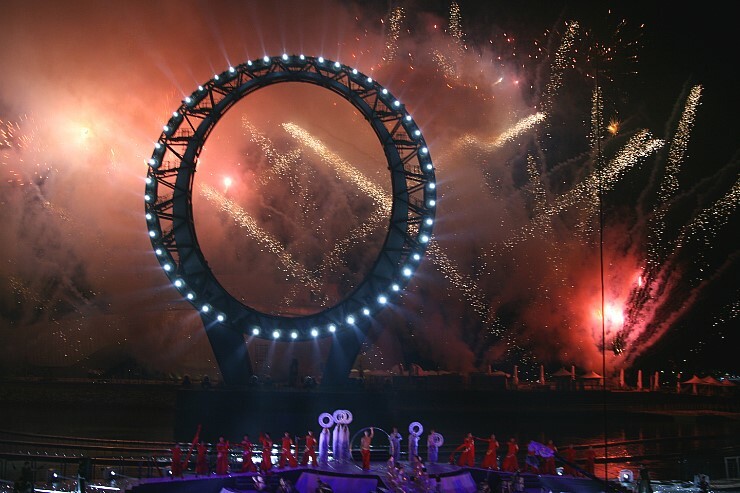 The last part of opening performance was fireworks and fountain show of Big-). 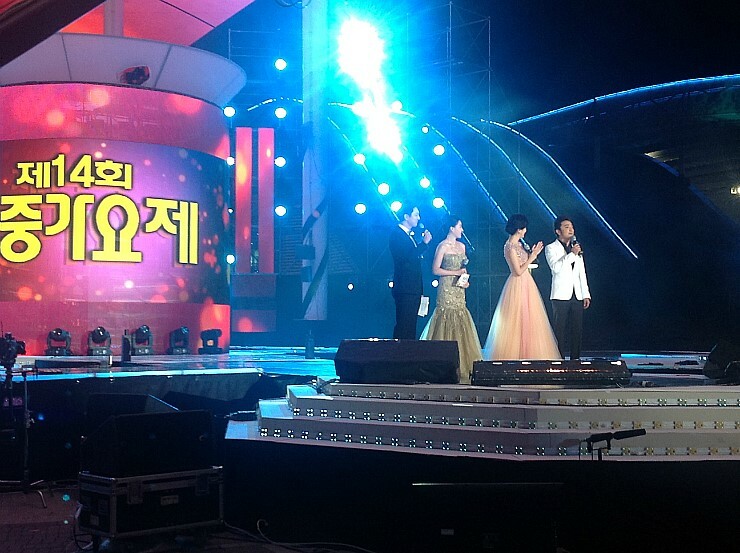 Chinese and Korean famous announcers jointly act as masters of ceremonies (MC). The joint concert under EDG was unheard-of stage! 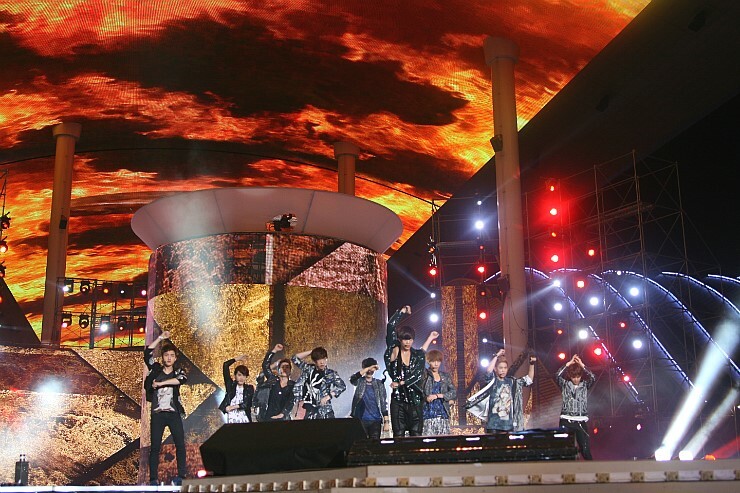 EXO opened the show under fire of EDG! 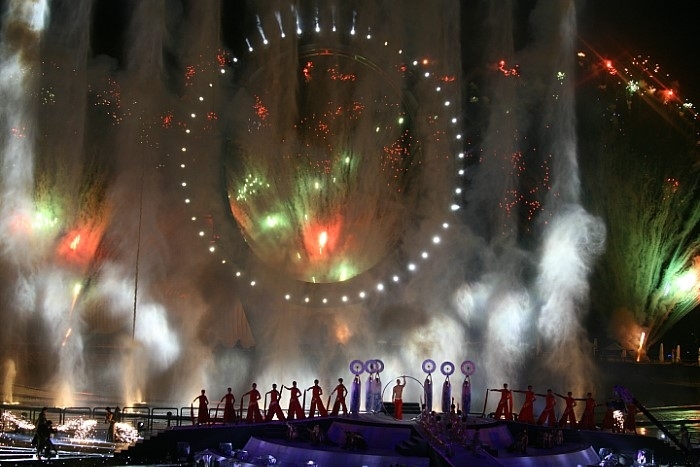 Chinese stars showed outstanding performance with unique choreography and props. 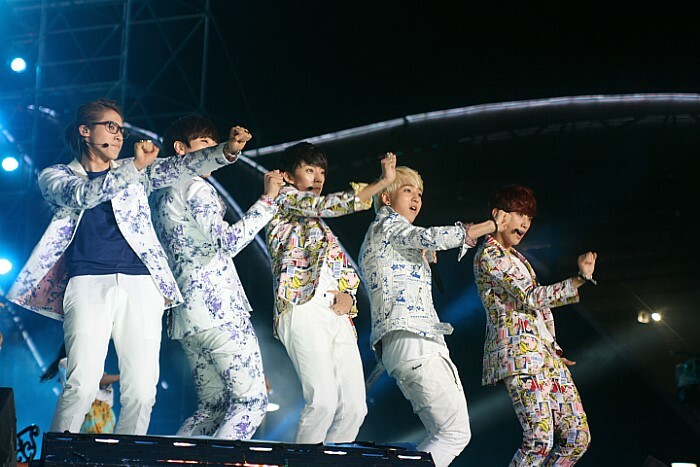 New rising K-pop star, B1A4 attracted Chinese and Korean fans! How cute their stage was! Sa Dingding who is the first invited Chinese singer to Grammy Awards was literally fantastic!! 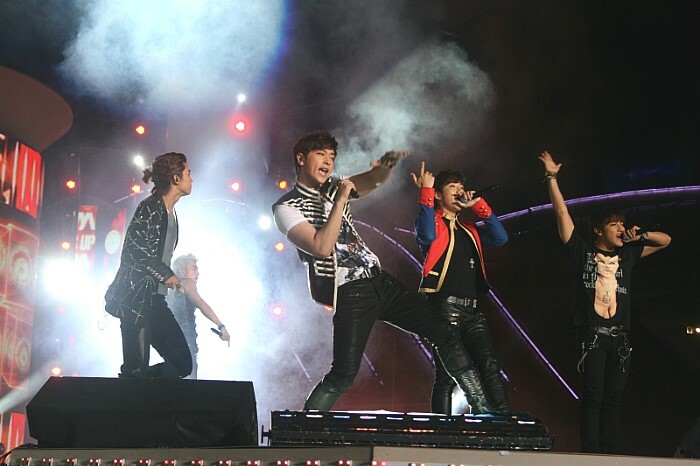 One of top K-POP idol star, 2PM gave the powerful stage to their fans! Tada!!! It’s time to meet beautiful girls – Girl’s Generation!!!! Yeony and Suny thank all the audience!! We hope to see you at EDG again! Luv YOU! !